PRS' S2 line of guitars are manufactured in the United States but utilize cost-cutting production techniques and imported electronics and hardware to provide extra affordability. 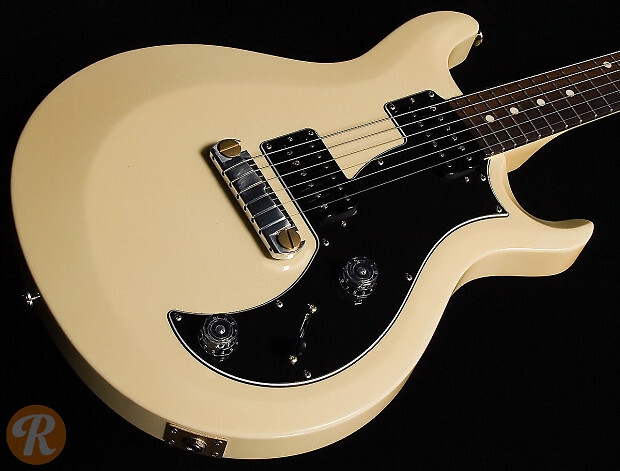 The S2 Mira features a thin double-cutaway mahogany body, PRS wraparound tailpiece, and a pair of Mira humbuckers. Solid finishes include Antique White (pictured), Black, Seafoam Green, Egyptian Gold, and Ice Blue Firemist.